A report from the regulator the Financial Conduct Authority (FCA) shows two thirds of all pension funds accessed in the quarter to September were full cash withdrawals and only 13% were used to buy a lifetime annuity. The Retirement Income Market Data report from the FCA shows that of the 178,990 of people accessing their funds between July and September last year 120,969 or 67% encashed the whole pension. Of this amount 88% were small pots of under £30,000 and only 23,385 used their pension to buy a guaranteed lifetime income using an annuity. More worrying is that 64% of people buying an annuity stay with their existing provider and do not use their open market option to find better annuity rates. Of those accessing their fund using drawdown or uncrystallised fund pension lump sum (UFPLS) about 84% were taking less than 4% yield considered sustainable but a tenth were taking over 10% yield which would mean they run out of money in their lifetime. 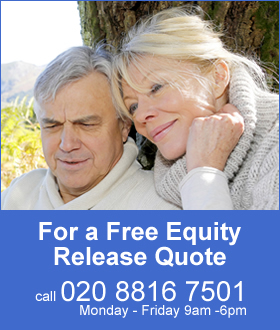 Pension freedoms were introduced from April 2015 allowing more flexibility to take benefits as cash, flexi-access drawdown, annuity or a combination. From age 55 people can take their 25% tax free lump sum and any additional cash lump sum or income is subject to tax at your marginal rate. People can take cash from their existing fund and 178,990 people accessed their funds in the third quarter 2015, a decrease of 13% on the previous quarter figure of 204,581. Of the latest figure there were 60,600 taking cash out by using UFPLS and of this amount 96% took a full withdrawal. Overall 67% of people encashed their pension fund rather than take an income. The concern here is the risk that these people will run out of money at some point in the future. Another 54,604 people selected flexi-access drawdown to access their funds of which partial withdrawals were 75% and full withdrawals were 25% of the total. There were 40,401 making full withdrawals using small pot lump sum payments. Small pots represent 69% of all pensions accessed, partially or fully, in the third quarter. The FCA repost shows that 68% of people do not take up policies with Guaranteed Annuity Rates (GARs) which could pay income yields of up to 10% per year. This figure includes people that are over the age of 55 but too young to take the GARs. For smaller pots under £30,000 the number not taking up these benefits increases to 78%. 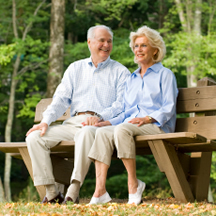 At retirement people are also not using the government's free advice service Pension Wise. On average only 17% told their provider that they had used Pension Wise and this increases to 22% for smaller pots. When it comes to pension income, people aged between 55 and 59 made the highest levels of withdrawals with 27% of them taking more than 10% yield per year or more. This figure includes regular and ad hoc withdrawals for both existing customers entering flexi-access drawdown and new customers accessing their pensions for the first time.